Defense Mobile, the nationwide 4G LTE mobile service dedicated to serving U.S. veterans, military service members and their families, has launched “Your Carrier, Your Call,” a special Veterans Month promotion designed to attract new members and aid three participating charities that support military causes. The company will make a $25 charitable contribution for each new line of service activated in November to the participating charity designated by the new member. The three charitable organizations are: Fisher House Foundation, Bob Woodruff Foundation and Lone Survivor Foundation. Existing Defense Mobile members and users of its free veterans resource application, milliSOURCE, can also vote via an emailed survey for the charity among the three that will receive an additional $3,000 contribution from the company. Defense Mobile is a nationwide 4G LTE mobile service, built and supported by U.S military veterans with the goal of helping improve the lives of those who have served. 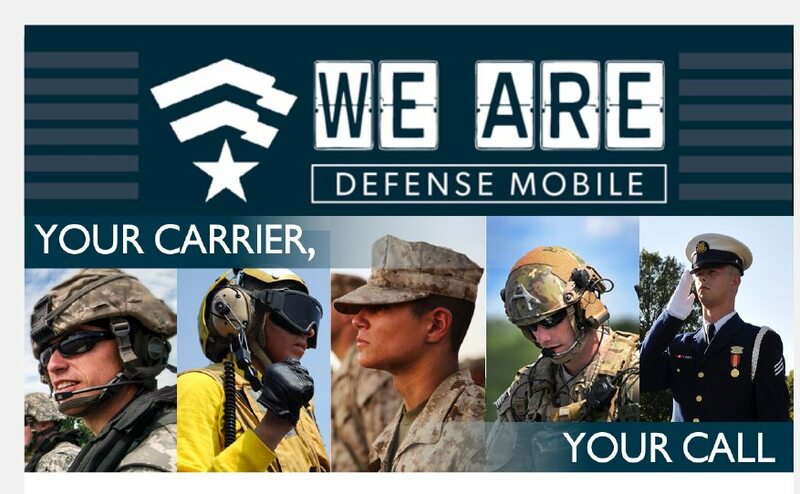 Defense Mobile offers mobile service on America’s best networks for less, with no-contract plans and a 100% veteran-staffed Member Care Team based in the United States. The service is offered exclusively to former and current members of the military and their families. The company offers the most popular smartphones, meaningful cash back rewards and its miliSOURCE app. miliSOURCE is a mobile application that helps veterans discover and manage more than 1000 benefits, retail deals and discounts exclusively available to the military community. Switching from a current provider to Defense Mobile is easy and members can bring their own phones and keep their own numbers. Defense Mobile service is sold online at www.defensemobile.com and at a growing network of more than 400 retail outlets throughout the U.S.
Defense Mobile is a nationwide 4G mobile service, built by veterans, supported exclusively by veterans and designed to improve the lives of those serving. Defense Mobile offers outstanding rates, the most popular smartphones, no-contract plans, meaningful cash-back rewards and miliSOURCE, a mobile application to help veterans discover and manage more than 1000 benefits, retail deals and discounts exclusively available to the military community. Defense Mobile has secured agreements to run on the nation’s largest and most trusted networks to ensure that veterans, military service members and their families receive superior coverage. To learn more visit www.defensemobile.com.